DC Comics has provided ComicBook.com with an advance look at the solicitation text for April's issues of Superman, Action Comics, New Super-Man, Supergirl, Superwoman, and Trinity. 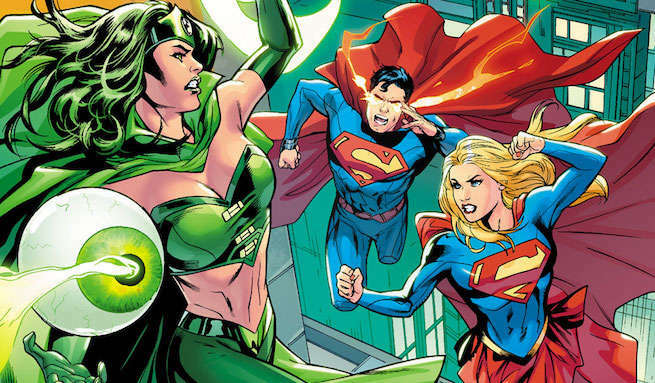 In the pages of these books, there are new writers on Superwoman and Trinity; big advancements of major Rebirth storylines in Supergirl and Trinity; and fallout from March's "Superman Reborn"...well, across the board. 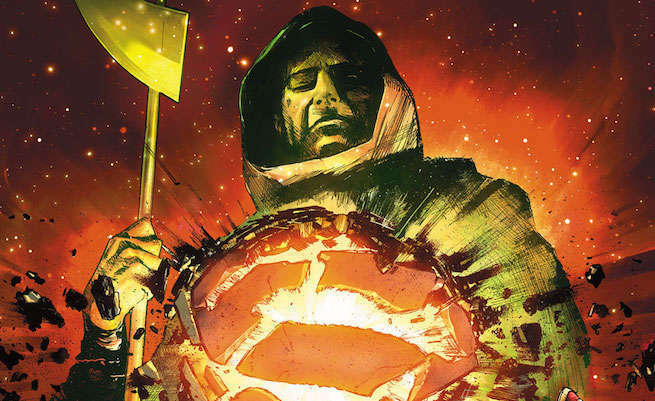 There's also a new look for the Man of Steel, a new member for a superhero team, and clues that one of the most beloved characters in the DC Universe will have a status quo change. You can check them out on the pages that follow, along with our brief thoughts on each one. For more details, click through to the full stories written about a number of the issues earlier this morning. The full April 2017 solicitations will be coming along from DC on Tuesday. 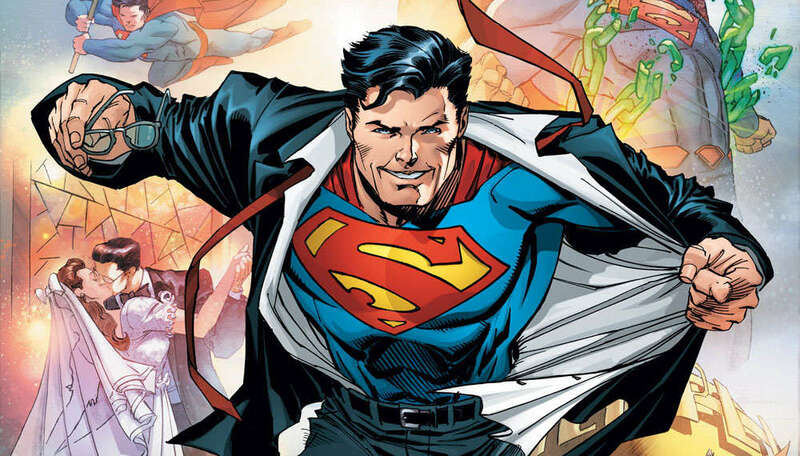 We did a pretty thorough job of breaking down the solicitation text for Action Comics and Superman here, and the changes to the Man of Steel's costume here. “Superman Reborn Aftermath” part one! Following the epic struggle against [REDACTED], Superman examines his entire history—the birth of Jon, the marriage of Lois and Clark, their lives at the Daily Planet—to discover who tried to destroy his life. Who is waiting in the shadows? Who is Mr. Oz? All questions the Man of Steel cannot answer alone. 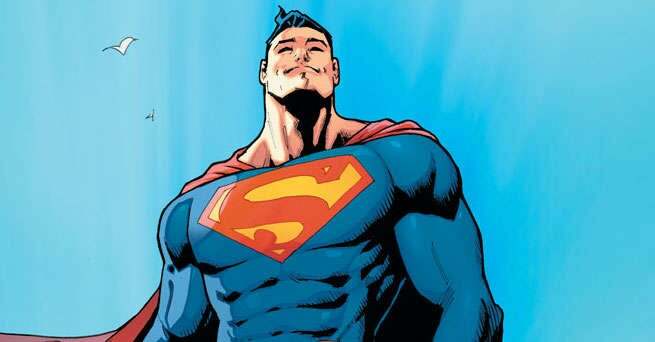 It is time for him to unite the entire Superman-Family! This one seems pretty self-explanatory. Unless we're misreading, it seems like Avery Ho is going to join the Justice League of China, giving the team a Chinese-American member and a likely tie to U.S. superheroes. Of course, it also suggests that following the events of "The Trial of Lex Luthor," currently ongoing in Action Comics, and "Superman Reborn," coming in March, Lex Luthor will still be armored up and calling himself a Superman. You can click on the cover at left to enlarge. We talked about Supergirl a bit here. The big takeaway, obviously, is that they're fulfilling the promise of Justice League vs. Suicide Squad #4 to take the Emerald Empress's search for Legion of Super-Heroes member Saturn Girl to the Supergirl series. How all of that ties into the other Rebirth-related revelations isn't totally clear yet. K. Perkins guest-writes for Phil Jimenez, while Stephen Segovia and Art Thibert take over on art. 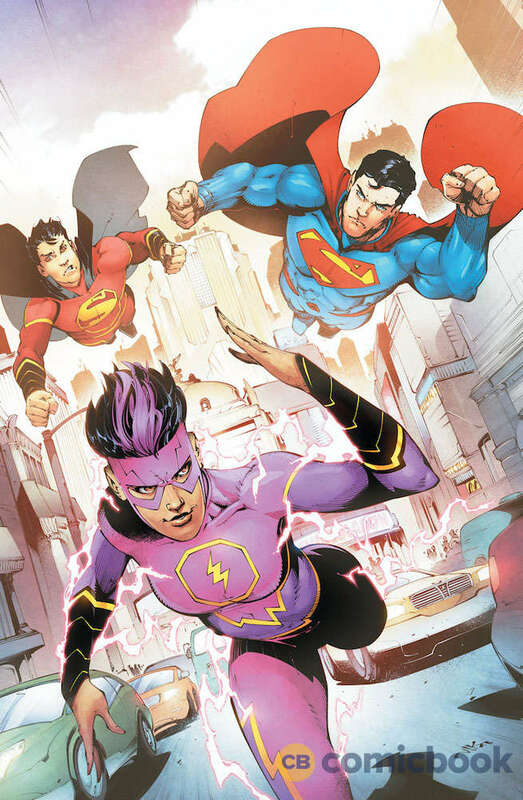 The "Super Women" storyline seems like it will still be Jimenez's baby in the longer-term, as DC confirmed for us that he will continue as the ongoing writer after Perkins's fill-in. Of course, the big thing here is that The New 52 Lois is...apparently alive?! How does that work? Could it have something to do with the theory that Superman and the New 52 Superman are halves of the same coin and will merge? 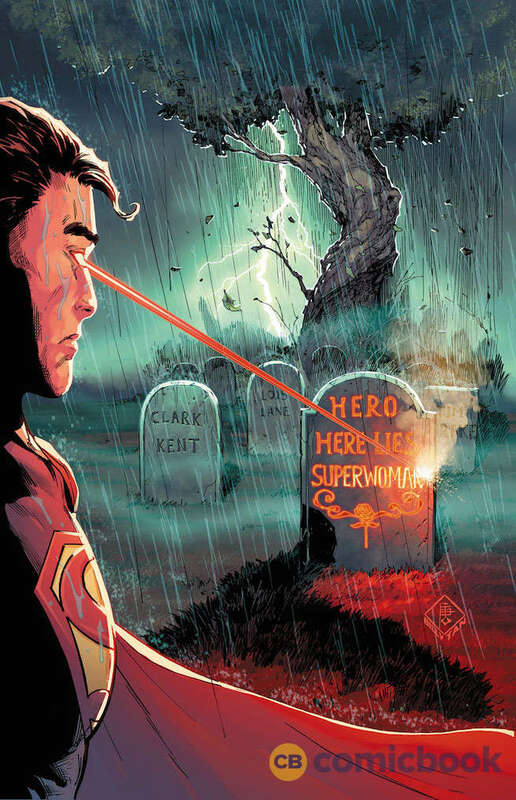 Are they bringing her back from the dead just to be Superwoman, and letting the "prime" Lois have her life? ...Or, with that cover...are they reunited in the afterlife because Lana is dead, too?! Those questions will (hopefully) be answered in April. Guest-written by Cullen Bunn, who will write a two-issue fill-in on the series before the return of ongoing writer/artist Francis Manapul, this issue promises to be big in the larger picture of the DC Rebirth puzzle. You can see more of our thoughts here.